Declan Suites San Diego offers a warm welcome on your next visit to San Diego. 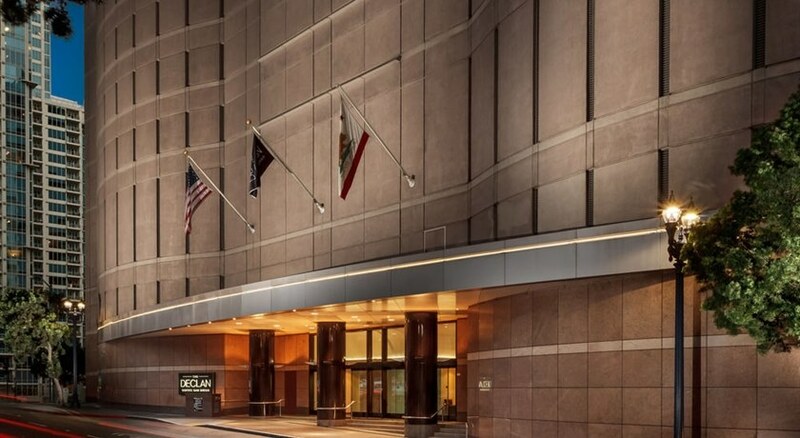 Hotel built around the San Diego Symphony Hall, the all-suite downtown San Diego hotel is within walking distance to the Gaslamp Quarter, known for 16 blocks of amazing dining, upscale shopping and entertainment. Declan Suites San Diego is located near the San Diego Convention Center, the world-famous San Diego Zoo, Little Italy, Old Town, Petco Park and Sea World. This hotel features all two room suites with HD flat screen televisions, high speed Internet access, and more. 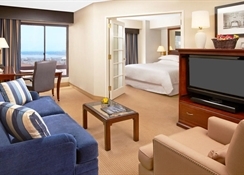 The hotel has some of the largest downtown San Diego hotel rooms, the perfect choice for family travelers. Enjoy exquisite cuisine at the downtown San Diego restaurant, Renditions. 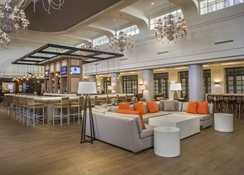 Stay connected with the specially-designed communal lobby lounge, offering free Wi-Fi, High Speed Internet Access and printing. The San Diego convention center hotel features over 5,200 square feet of flexible meeting and event space with amazing views of the downtown San Diego skyline. 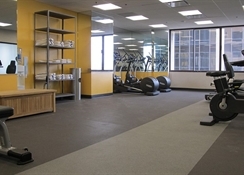 Declan Suites San Diego is located near many of San Diego's popular attractions. Guests can enjoy a musical performance by one of the best orchestras in the US at the San Diego Symphony Hall, located just down stairs. A short distance away is Balboa Park, the nation's largest urban cultural park, featuring 15 museums, breathtaking gardens, and the San Diego Zoo. To have a memorable dining experience, visit the Gaslamp Quarter. With more than 150 restaurants, coffeehouses and nightclubs, there will always be something for every traveler. Catch a baseball game at Petco Park, within walking distance to the Declan Suites San Diego.